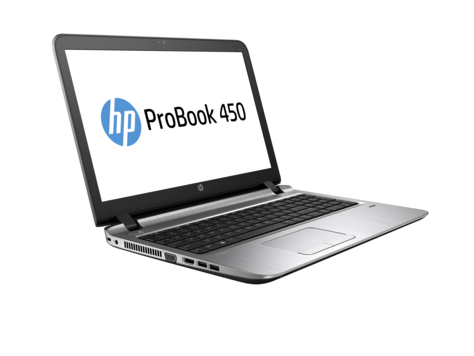 The HP PROBOOK 450 G3 W0S81UT#ABA is a notebook PC comes equipped with the processing power of 6th generation Intel Core i5-6200U dual-core SoC that features 3 MB level 3 cache and runs at the base clock speed of 2.3 GHz with Boost speed of up to 2.8 GHz. It has a Hyper Threading technology to process 4 threads at once. This also offers an integrated GPU called Intel HD Graphics 520 which represents the "GT2" version of the Skylake GPU with 24 Execution Units which are clocked at 300 - 1000 MHz. This HP PROBOOK 450 G3 W0S81UT#ABA laptop PC is packed with different features such as 8 GB DDR4-2133 SDRAM system memory; 500 GB 5400 rpm HDD; DVD+/-RW SuperMulti DL; HD audio with DTS Studio Sound; media reader for simple photo transfer; HP Premium Keyboard, full-sized, spill resistant; Clickpad with image sensor, multi-touch gestures enabled, taps enabled as default, and multi-touch capacitive panel; HP Fingerprint Reader; HD webcam with microphone and a 4-cell, 44 Wh Li-ionbattery for up to 10 hours of battery juice; . It comes in gray color for stylish look. 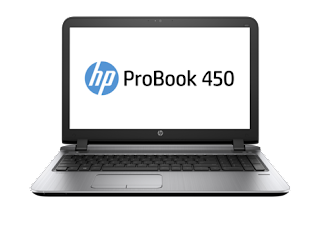 It also comes with software package such as CyberLink Power2Go; CyberLink Power DVD; HP 3D Driveguard; HP Connection Manager; HP GPS and Location; HP Mobile Connect; HP Recovery Manager; HP SoftPaq Download Manager; HP Support Assistant; Microsoft Security Essentials; HP Drive Encryption; Foxit PhantomPDF Express; Absolute Persistence; Intel WiDi Software; CyberLink YouCam; HP Security Manager; Microsoft Defender; Validity Fingerprint Driver. This HP PROBOOK 450 G3 W0S81UT#ABA comes packed with 15.6" full HD anti-glare display with a screen resolution of 1920 x 1080. This resolution is high so it is expected that it is sharp and clear compared to laptops with lower resolution. It offers energy-efficient LED backlight. With regards to connectivity, this laptop PC comes packed with Bluetooth 4.0 interface syncs with compatible devices; 2 USB 3.0; 2 USB 2.0; VGA port; Intel® Dual Band Wireless-AC 3165 802.11a/b/g/n/ac (1x1) WiFi ; and HDMI output expands your viewing options. This laptop PC is powered by Windows 7 Professional 64 (available through downgrade rights from Windows 10 Pro 64). This laptop measures 37.8 x 26.43 x 2.38 to 2.48 cm. You can get this laptop at the price of $949.99. Do you have this laptop PC? Share with us your experiences with this particular device. 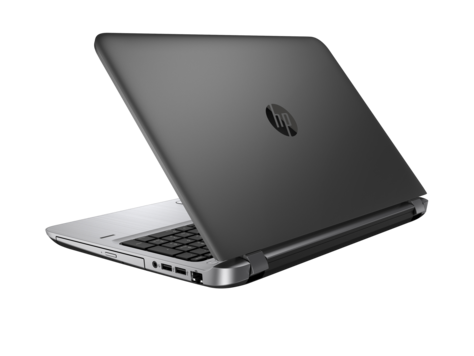 Other laptops in this price range include HP PAVILION 15-CB075NR; LENOVO MIIX 510 2-IN1 80XE002AUS; and MSI PL62 7RD-017.